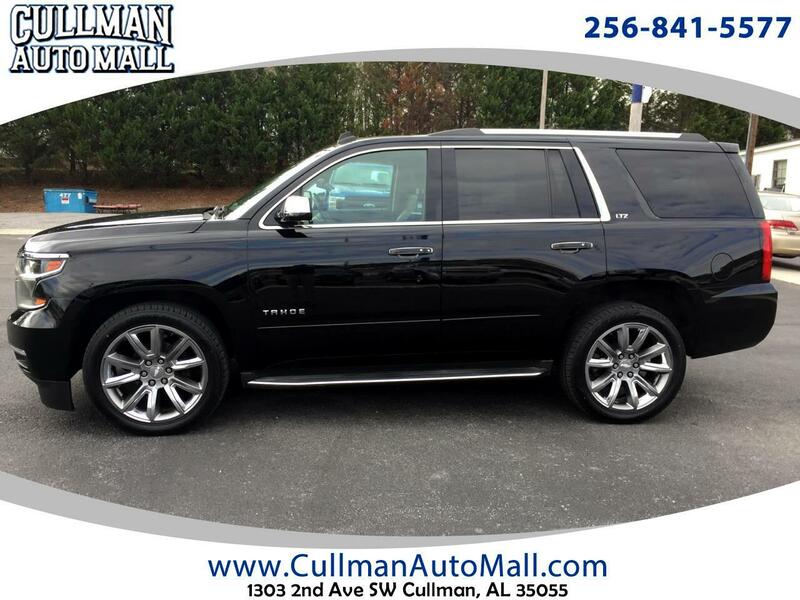 This highly optioned Black LTZ 4x4 Tahoe has a very attractive leather interior color (burgundy/brown). The options include, 22" tires and wheels, sunroof, heated and cooled front seats, DVD player, 2nd row captains seating, and navigation. This is a one-owner vehicle with a clean carfax.